As requested by readers, this Hack prototype you might have glanced over a year ago on this blog is now cleaned up and got approved by Apple. It’s now available on the app store. It’s based on a BSD version of Hack 1.0.3 published by Andries Brouwer, which in turn is based on Jay Fenlason’s Hack. 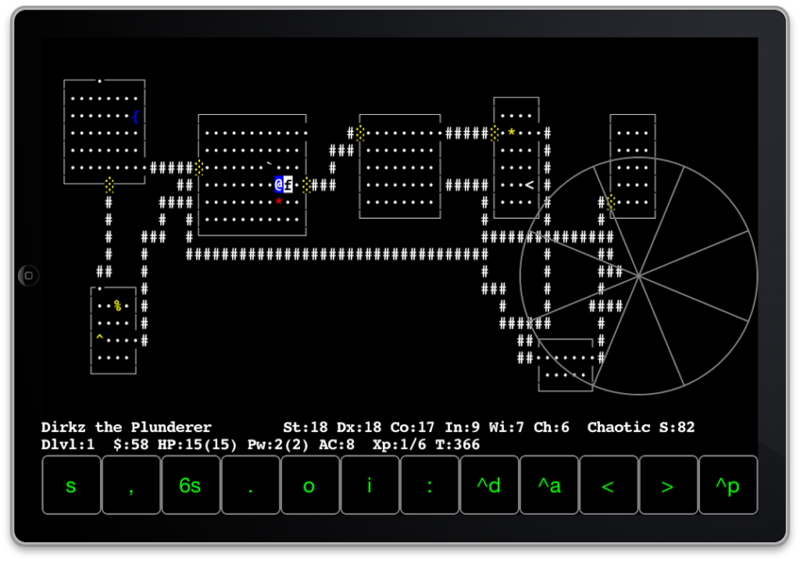 Please be aware that this is a very old game (originally published in 1985), lacking many of the refinements of the latest and greatest NetHack 3.4.3. If that doesn’t deter you from buying it, please make sure to let me know by mail or in the comments of any problems you encounter that are platform-related. 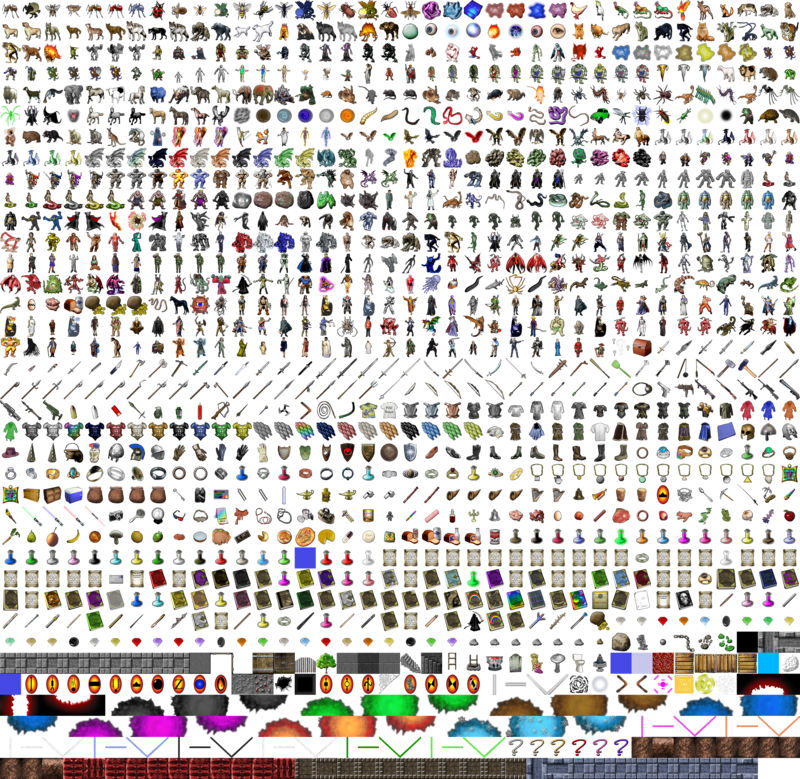 This entry was posted in hack, roguelike on 2011/12/16 by dirk. 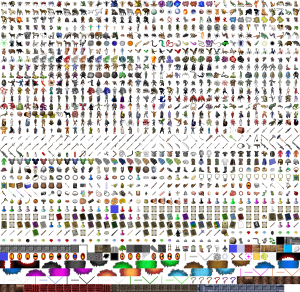 I just approved 1.02 for app store release, it should go live soon. 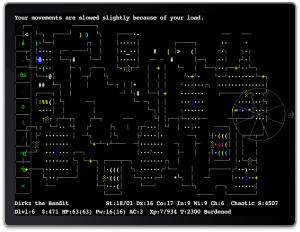 Among many bug fixes and UI improvements the main aim for this release has been full compatibility with Dungeon Crawl Stone Soup (DCSS). 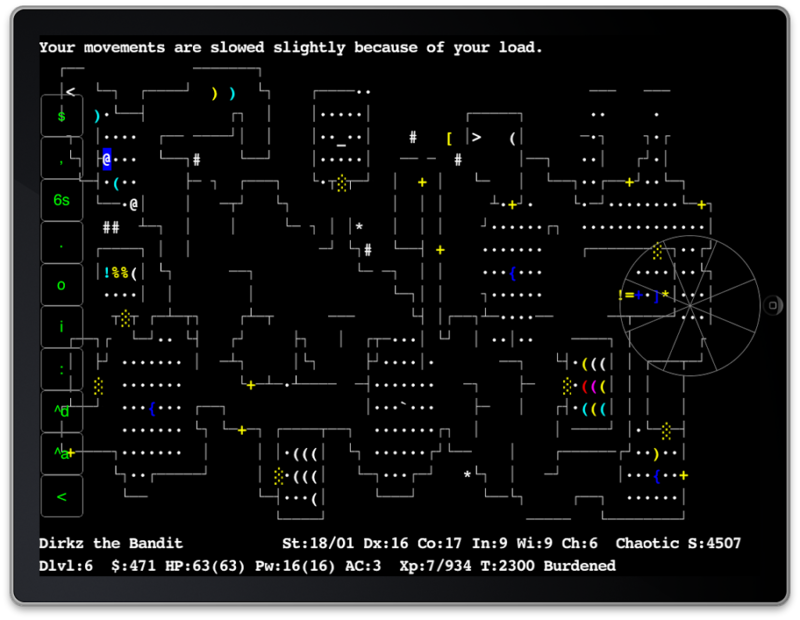 This entry was posted in roguelike, rogueterm on 2011/10/20 by dirk. This is not a mockup btw., it’s an original Hack 1.0.3 (with some BSD patches to clean up the code) capable of running on a vanilla iPad (iOS 3.2 or higher). 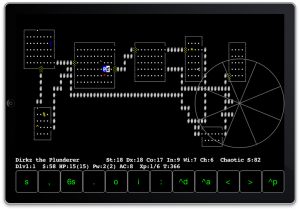 This entry was posted in hack, ipad, roguelike on 2010/11/14 by dirk.